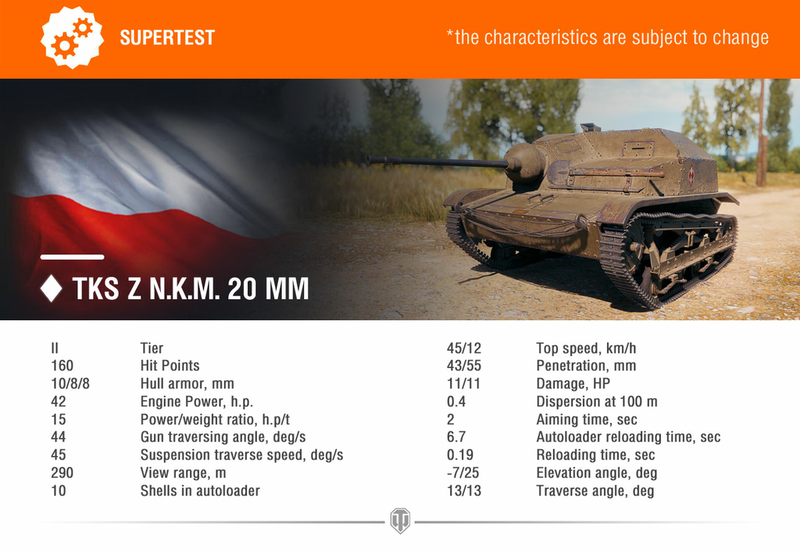 An iconic Polish tank might be introduced to World of Tanks soon, as the tankette, TKS Nkm wz.38 FK 20 mm gun just entered Supertest for the second time. The vehicle was first tested back in December 2015 and since then, it has been waiting to be released into the battlefields. 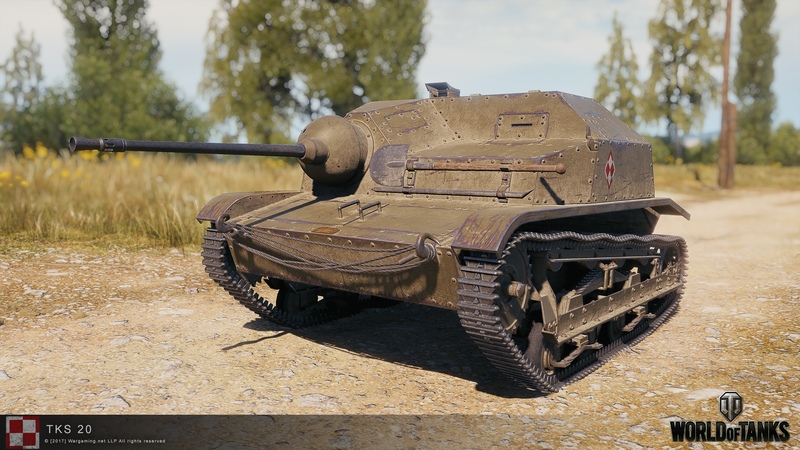 The wait seems to be over and the tank will be a Tier II light tank, no information if Premium, Reward or Gift yet, but that will be unique that will. 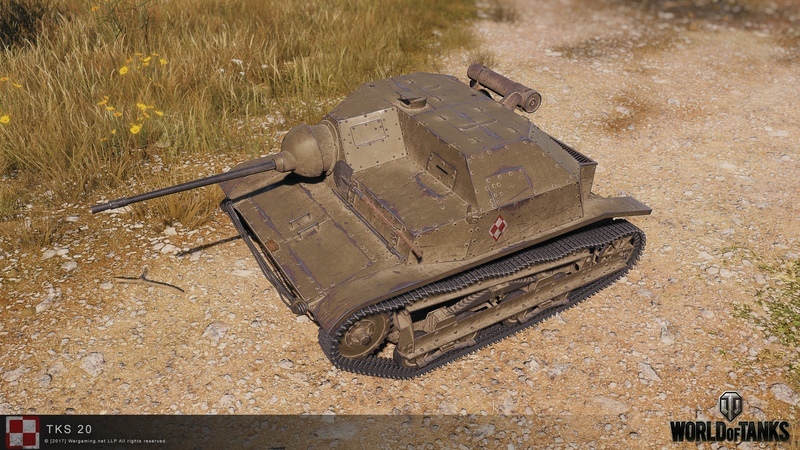 It will be one of the lightest and smallest tanks in the game and it will be the first light tank without a turret. 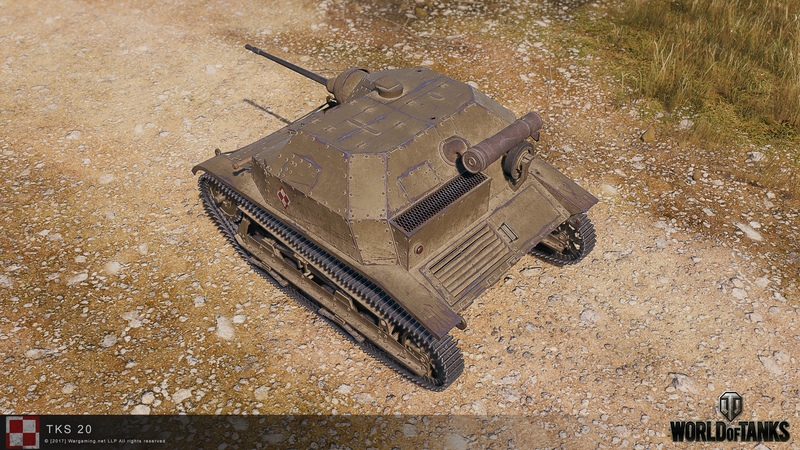 The tankette gun will have a magazine of ten shots, two shells per shot. With its small silhouette and mobility, it will be an amazing machine to get into camouflaged positions and harras your opponents. But don’ forget, it’s notably poorly armoured making it very vulnerable to enemy fire. The one and the only polish tank i am looking forward to. this game has too much heavys with too much alpha damage already. Too bad it’s not the TKS-D with the 37mm Bofors anti-tank gun.